Office Improvement ideas providing you a workspace that how you can create a workspace. Have you ever seen images or film from inside the world’s biggest corporations? Often times we become envious of their beautiful and enjoyable workspace and locations. Perhaps you’ve been tasked with helping your company improve its workspace, or perhaps you own the company and want yourself and your employees to have a beautiful and productive work environment. Improving a work area can help you to attract or retain employees. As noted above, images of the world’s most profitable companies often make us hope to work for them. There are many options that can you assist you in improving a work area. The very first thing you might want to do is to gather feedback from your employees. One of the most important reasons a company might want to improve its location or workspace is to improve employee satisfaction. Improving satisfaction will generally increase productivity and help you retain the best talent. Find out what your employees like and dislike about the space they’re currently in, and use this feedback to help you decide what to do. Depending on your company’s financial situation, it might be possible for you to design and build from scratch. Of course, this is a serious undertaking, but if you have a very specific look and feel you want, it could be your best, and possibly even the cheapest option. In some cases, refurbishing your existing location might take more work and funding. Your office’s building and location do affect employee and client perception. Perhaps you’re in a building that’s unattractive, run-down, or is in a part of town that you don’t like. Or perhaps you’re finding that much of the talent you want to acquire or have already acquired is in another part of town. If that’s the case, updating the interior of the building might not be enough. It might be time to move. Relocation could be a cost-effective solution for many reasons. Lower rent or taxes are always a possibility. Many times there are existing buildings in great areas that have already been designed to be collaborative workspaces. On occasion, these vacancies can be modified to your liking prior to your company’s relocation. If you are already in an attractive building that’s centrally located, you could consider refurbishment. Refurbishment can do a lot to update the look and feel of the location. Even without knocking out walls, an update to the flooring, colors, and amenities could do much to improve employee and client perception. A few simple changes could transform your workspace entirely. Spend time doing research, and gathering feedback from employees. What aspects of the office are currently prohibitive? What mood do you want? Be sure to choose a project team to assist with the development of these ideas. The design of the workspace is a huge contributor to the look and feel of your office Improvement Ideas. The layout, colors, and materials are important considerations. A good design will help your employees feel happy and productive in a workspace that is collaborative. Finding a balance between aesthetics and practical value are the primary goals in a good design. Planning is key in the final product. 2D sketches and 3D renders will help you to achieve perfection. Besides the look and feel of the building on the inside and outside, sustainability is an important consideration in good workplace design. An eco-friendly workplace can help you to improve your company’s public image, and depending on your industry, this could be extremely important. Consumer awareness of these issues is on the rise, which is making your company’s stance on these important matters much more crucial than it used to be. It’s also possible that making eco-friendly considerations could reduce your costs. Reducing energy consumption with a smart workspace could, in turn, help you increase profits in the long term. Whether you decide to move to a new location or redesign your existing building, sustainability should be something you consider. Furnishings obviously play a large part in how comfortable your employees feel, and how space looks. It’s not always easy to make decisions on new furniture though. For many pieces, comfort is key. When it comes to chairs, it’s important that there are adjustments for the arms and back. Your employees come in all shapes and sizes, so make sure to choose chairs that can be customized. This could even help prevent injury. 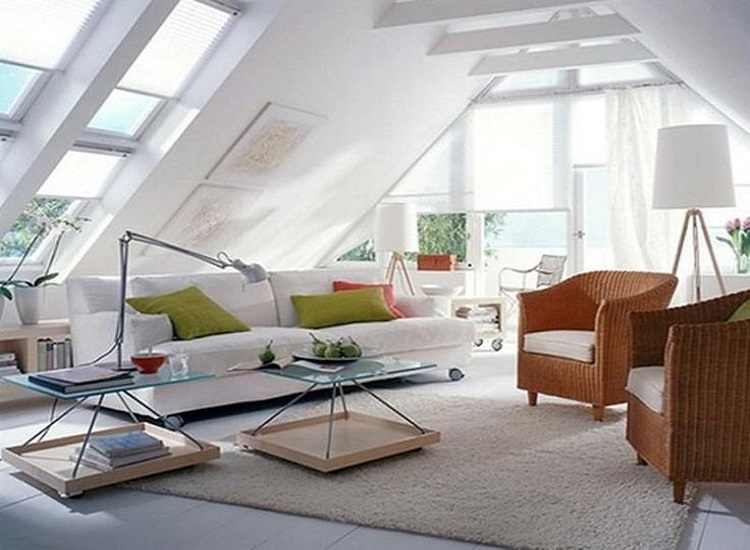 Besides comfort, aesthetic appeal is also something important to consider. Office Improvement Ideas for furniture needs to match the mood, shapes, and colors of the space it is in. Furniture is a utility though, so it isn’t enough that it looks good. It also needs to be genuinely useful. This is another area where it is extremely important to gather employee feedback. Make sure to take care of their needs so that they can be productive. Technology is changing more rapidly than ever, but it is an aspect that can be forgotten during a redesign. Tablets and smartphones are slowly working their way into the corporate environment. At the same time, hardware and software on more traditional machines are being updated more frequently than ever before. These advancements are good for productivity. Embracing these new technologies can help employees in a number of ways. For one, having up-to-date technology can actually be more familiar to your employees. The phones, tablets, and desktop computers they have at home might be running newer software than those at the office Improvement Ideas. This can create disparity and confusion. Office Improvement ideas giving you a platform to work and earn for making your future best. It’s easy to see how good planning would tie all of these other aspects together to ensure that your project is effective and completed on time. There are many aspects to good planning, from the feedback stage to the final design. Oktar offers a free space planning consultation for those that need assistance. U Move Homes Copyright © 2019.